The Qur’an is the last divine scripture for mankind. It is the final revealed Book or the guidance of humanity, and is intended for all peoples and all times. Its laws are of universal and perma­nent character and they admit of no change or amendment. The Qur’an itself lays claim, in no ambiguous terms, to being the final and most perfect code of revealed laws. “This day” runs the passage, “have I perfected for you your religion and completed My favour on you and chosen for you Islam as religion” (Ch.5:V.4). It may be objected that this claim of the Holy Qur’an is incon­sistent with the progressive state of humanity, for mankind is sub­ject to a rigid law of evolution. There is no retrogression or even stagnation, no going back or marking time in the onward march of the human race. With an improvement in the state of humanity, the needs and requirements of mankind undergo a cor­responding improvement. Hence it seems incompatible with the ever-changing conditions of the world to lay down one immutable law for all time. Yet this is what Islam does, and the objection to its pronouncement is not so sound as it appears to be. 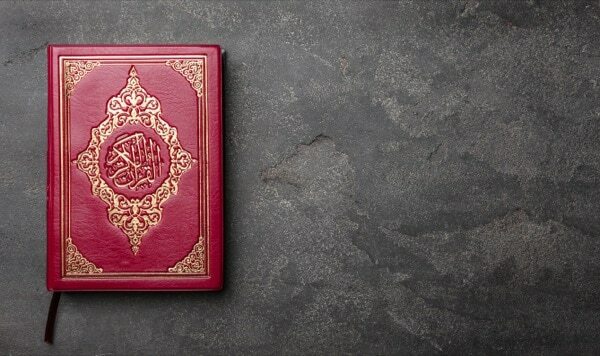 If it be proved that the Qur’an is the true Word of God, then it will auto­matically be proved that it is the final word of God, because it claims to be the final word of God, and being the true word of God should be true in all its claims. So the question really is not whether the Holy Qur’an is the final word of God, but whether it is the true word of God. The Holy Qur’an sets forth various arguments to prove the truth of its claim to be the word of God. The incomparable beauty of its style and the unapproachable excellence of its diction, the sweetness and sublimity of its language and its comprehensive conciseness are beyond the collective efforts of all men to combine in a single book. The Holy Qur’an is conscious of its matchlessness in all conceivable respects. 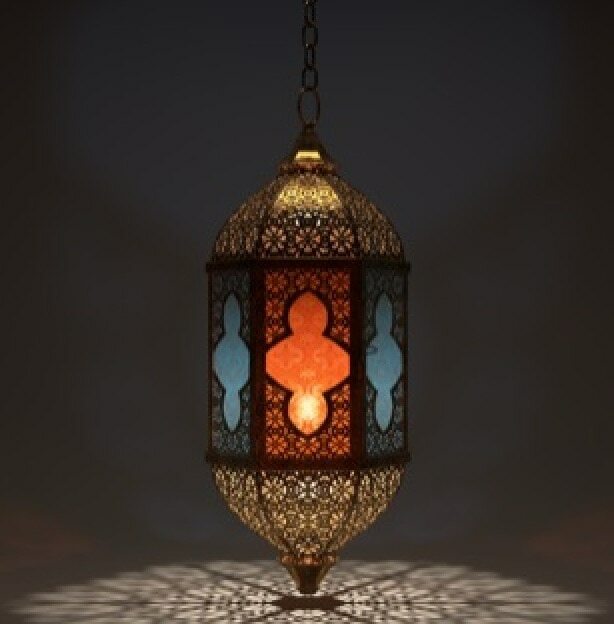 “Say, if men and Jinn should combine together to bring the like of this Qur’an, they could not bring the like of it, though some of them were the helpers of others” (Ch.17:V.89) is a challenge of the Holy Qur’an unmet for 1300 years, and none has ever dared to produce a parallel to even a chapter of it. This, indeed, would have been a great challenge even from the mouth of the greatest savant of all times, but what enhances its great­ness a hundredfold is the fact that it came from the mouth of a person who was not educated in any college, who did not receive even the rudiments of knowledge in a school, and who could not even decipher a word or write his own name. This person was the Holy Prophet Muhammad(saw), who is better known as the unlettered Prophet. Does not this fact prove beyond the shadow of a doubt that the Holy Qur’an was not the creation of his own brain but the word of the Omniscient God revealed to him? Some prejudiced Christian writers who are largely ignorant of the Arabic language find fault with the arrangement of the Qur’an and even with its literature, but those who were the best judges of its literary merits, the Arab learned poets, the elegance and excellence of whose poetry is generously acknowledged by the same writers who have indulged in such a sweeping condemnation of the Holy Book as a piece of literature, bowed in reverence before this challenge of the Holy Qur’an. Indeed Labid, one of the greatest Arabic poets of all times, actually abjured the writing of poetry, saying, “God has given me the Qur’an in exchange for it.” Unlike Stobart, Muir, and others like them, who do not see any coherence and consistency in its text, those who know the Arabic language are convinced that its every sentence is a gem well set in its place, and every subject a pearl exquisitely studded in its own setting. An incoherent and inconsistent reading could not be a great creative and cohesive power as, according to Mr. H. G. Wells, the Holy Qur’an has proved to be, and could not have held the sincere devotion and unaffected reverence of millions of people for 1300 years. Another argument in support of the truth of the Qur’anic claim to be the true word of God is embodied in the verse, “Surely We have revealed this Book and We will most surely be its Guardian” (Ch.15:V.10). This is one of the most wonderful prophecies whose fulfilment is, and will ever remain, a standing testimony to the truth of the Holy Qur’an. Thirteen centuries have passed since that prophecy was made that the Qur’an should for all time be preserved safe from every attempt to destroy it and from every kind of corruption. This prophecy was made at a time when printing was not invented, and when perhaps even paper was not used, and the prophecy was made through the mouth of a person who, as we have said, himself could neither read nor write, and among a people who were the most uncivilised and unlearned nation of their time. All languages, moreover, are subject to constant change, yet the language of the Holy Qur’an is such that after the passage of 1300 years, in spite of the changes that have come over the Arabic language, the Holy Qur’an is still understood and is understandable by all those who know the Arabic language. The Holy Qur’an, indeed, is not only safe against corruption and destruction, but it is safe from becoming unintelligible by the obsolescence of its language. It is a special divine dis­pensation in connection with the Holy Qur’an that during the last 13 centuries in nearly every part of the world there have been thousands of living people who knew the whole Qur’an by heart from beginning to end. If there were to come on this earth of ours a calamity to destroy every kind of paper and means of printing, the Qur’an would even then be safe from destruction. This is because of all the revealed books and religious scriptures, the Qur’an has in every age been committed to memory by thousands of Muslims. This is in itself a sufficient proof that the Qur’an is the guide for all mankind for all times. Had its ministry been limited, its protection from destruction and cor­ruption by divine hands would also have been limited. What greater proof can there be of the truth of the above-mentioned prophecy than the fact that a hostile critic of Islam like William Muir has to admit that “There is probably in the world no other book which has remained for twelve centuries with so pure a text?” Had he used the word “certainly” for “probably” he would have been nearer the truth. Another very outstanding argument tending to prove the truth of the Holy Qur’an are its prophecies in connection with the total destruction and utter annihilation of the infidels and the con­sequent triumph of the cause of Islam. We see a man leading a retired and absolutely unknown life suddenly proclaiming him­self to be the Messenger of God appointed for the reformation of corrupted humanity. He is opposed, maltreated, persecuted, and excommunicated and a price is put upon his head. Very few people believe in his cause, and they are poor and helpless, sub­jected to the most inhuman and relentless persecution, and are com­pelled to take refuge in foreign lands. That man is left with a handful of companions amidst a host of implacable enemies who are bent upon his destruction, and who have every means at their disposal to destroy him. However, instead of being afraid of the imminent destruction to which he and his handful of com­panions are always exposed he predicts his enemies’ destruction and his own ultimate success and triumph. Could the Holy Prophet Muhammad(saw), who was leading a perilous life for more than 13 years, whose every other thought naturally would have been of meeting a violent death at the hands of his persecutors, whose companions were daily done to death in the most barbarous manner before his eyes, could he himself forge and then attribute to God, the following verses embodying prophecies of the destruc­tion of his enemies and the ultimate triumph of his cause? God has decreed that He and His apostles shall most certainly prevail. Surely Allah is strong and Mighty.” (The Holy Qur’an Ch.58:V.22). “Do they say: ‘We are a victorious host.’ Soon shall these hosts be routed, and they shall turn their backs. Aye, the hour is their promised time, and the hour shall be most grievous and bitter.” (Ch.54:Vs. 45-47). “To Allah belongs all honour and might and to His Apostle and to the believers, but the hypocrites have no knowledge.” (Ch.63:V.9). “These are Allah’s party and most surely Allah’s party shall succeed.” (Ch.58:V.23). Could any man situated as the Holy Prophet Muhammad(ra) make such prophecies, and had he had the audacity to do so, was it in his power to ensure that these prophecies should be fulfilled exactly as he predicted? Surely no man born of woman can do that. Yet the Holy Qur’an made all these prophecies in the circum-stances indicated above and they were literally fulfilled. Does it not surely prove then that Muhammad(saw) was the true Messenger of God and the Qur’an the true Word of God? Perhaps the greatest proof of the truth of the Holy Qur’an is that it was revealed at a time when the need of a divine revela­tion was sorely felt. And God alone knows when a prophet should appear. It is sometimes said that the condition of Arabia de­manded the appearance of a reformer and that any other man could have done what the Holy Prophet(saw) did. But the appearance of the Holy Prophet(saw) at a time when a reformer was needed proves all the more that he was a true Messenger of God because God alone knows when a particular nation is ripe for change and ready to change the destinies of other nations. Only God knew that the turn of Arabia had come for the most complete, the most sudden, and the most extra-ordinary revolution that had ever come upon any nation on earth, and He raised the Holy Prophet(saw) and revealed to him the Holy Qur’an in order that he might bring about that revolution. At the time of the appearance of the Holy Prophet(saw) the whole of Arabia was immersed in the Cimmerian darkness of religious ignorance, moral depravity and spiritual turpitude. The Arabs were wholly abandoned to the gratification of their carnal desires, knew no God, no Prophet and no Law, worshipping idols and images, sticks and stones. They were careless, sceptical and materialistic. “Let us eat, drink and be merry, for tomor­row we die.” is the epicurean tone of the maiority of the pre-Islamic poems of the Arabs. They had a reckless passion for wine, women and gambling. They committed adultery and theft, oppressed the orphans and misappropriated their properties, and indulged in murder, robbery and infanticide. Such were the Arabs to whom the first appeal of the Holy Qur’an was made. 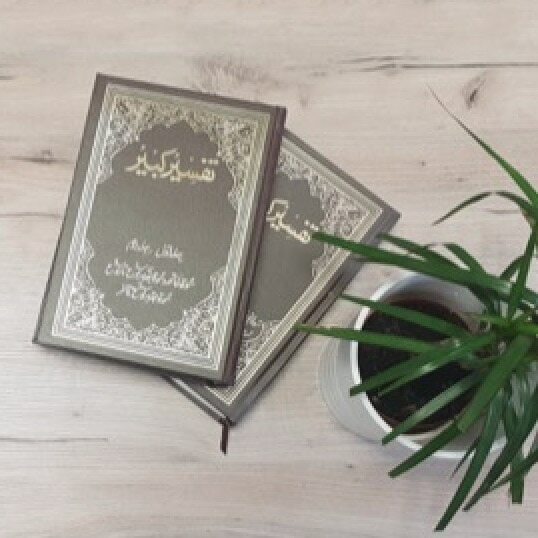 What change the teachings of the Holy Qur’an made and the result of their education and training by the Holy Prophet Muhammad(saw) is well known to the student of Islamic history and has been acknowledged even by the most hostile critics of Islam. The shackles of their ignorance were broken and their hearts became illuminated. Their vices were changed into virtues and their wickedness into righteousness. Their passion for wine and gambling was changed into passion for prayer and fasting. Their nightly carousels were abandoned in favour of vigils and prayers, and their morning bouts were changed to praise and thanksgiving. From the lowest depths of moral and spiritual degradation they were raised to the highest pinnacles of spiritual eminence. From wandering nomads and marauding bandits they left their indelible print on the civilisation of the world. From the dregs and scum of society they became the teachers and educators of mankind. Surely such a marvellous change could not be effected save by a true Messenger of God. Indeed, many people in the same conditions failed to accomplish what the Holy Prophet(saw) achieved. But what above all gives the Qur’an a universal and permanent character is its teaching. It is, as I have proved, the true Word of God. God has ordained it to be the guide of mankind for all ages and in all circumstances. Man, no doubt, is progressing and his conditions change every day, but God, to Whom the future lies open like a book, knew that with the improve­ment in the state of humanity, the needs and requirements of man­kind would undergo a corresponding improvement. He knew also what kind of law would be required to meet the ever-chang­ing and ever-progressing condition of man and He had the power and the knowledge to reveal such a law and indeed He has revealed that law and that is the Holy Qur’an. Nor is this an empty claim. The experience of the last 1300 years has proved its validity because it is based on principles which are in keeping with human nature. Human nature is clearly outside the sphere of change. It is not amenable to the law of progress and is as permanent as man himself. The social and international law of Islam and its moral teachings are as unerring a guide today as they were 13 centuries ago. The manner in which the Holy Qur’an leads the spiritual wayfarer to the Eternal City is as infallible as ever. The claim of the Holy Qur’an, “If you love Allah then follow me, Allah will love you” (Ch.3:V.32) holds good today as much as it did when it was first made in the 7th century of the Christian era. Let not anyone think that the Qur’an is responsible for the backwardness of the Muslims in various spheres of life. They are backward not because they act upon the teachings of the Holy Qur’an, but because they do not follow it. When the Muslims had made the Qur’an the rule of their lives they were the most advanced nation of the world. Having tried to prove the abiding truth and authenticity of the Qur’an, I will give very briefly the Qur’anic teachings on the two fundamental doctrines of all religions. The Unity of God and the life after death may be regarded as the two pillars on which the whole fabric of religion stands, and it is the duty of every religious book which claims to be of divine origin to deal exhaustively with these two doctrines. The Holy Qur’an teaches us to believe in one God, but not in the sense that there is no ‘god’ beside Him, for the acceptance of this doctrine alone can make no deep impression on a man’s life. The object of the Qur’anic teaching on this belief is that man should so regulate his life in conformity with the doctrine of the unity of God as to lead him to moral and spiritual perfection. He should believe in God as one and alone in His person, and above every rival or partner, whether it be an idol or a human being, a heavenly body or one’s own self – his re­sources, plans or means, and he should not regard anyone as Powerful against Him, nor consider anyone as the Sustainer, the Exalter, the Abaser, the helper, or the Supporter against the Will of God. There are three requirements for a complete adherence to the doctrine of unity. Firstly, a man must believe in the Unity of God, i.e., he must regard everything as vain and of no account in comparison with God. The Christians claim the same universality and permanence for the teachings of the Gospels as the Muslims do for the teach­ings of the Holy Qur’an, but the Gospels of Jesus Christ(as) never lay claim to universality nor did God take upon Himself their pro­tection against corruption and interpolations to which they have indeed unhappily already been subjected. Jesus Christ(as) was not a law giving prophet. “Think not,” he says, “that I am come to destroy, but to fulfil. For, verily I say unto you, till heaven and earth pass, one jot or one tittle shall in no wise pass from the law, till all be fulfilled.” (Matthew 5:17-8). Jesus Christ(as) gave no law, hence his Gospels cannot be compared with the Holy Qur’an, which is a complete code of social, moral and spiritual laws. Jesus(as) gave a few moral precepts intended for the Jews for the time in which they were given. In support of this contention I give below a few moral pre­cepts from the Gospels and with them corresponding precepts from the Holy Qur’an, leaving it to readers to judge for them­selves which are more practical and practicable. It has been said in the Gospels that you should love your enemies (Matthew 5:44), but the Holy Qur’an bids you have no enemies in obedi­ence to your own desires, and enjoins that your sympathy should extend to all. Your enemies should be only such as are the enemies of your God, your Prophet(saw) and the Word of God. Invite even these to the right path and pray for them. You should bear no enmity to individuals, but you should express displeasure at their evil deeds. Let all your efforts be to reclaim these men and make them amend their ways. It has been said in the Gospels that you should bless them that curse you (Matthew 5:44) but the Holy Qur’an forbids you to bless or curse any one of your own volition, but orders you first to consult your heart (which is the habitation of the glorious manifestations of Divinity) as to the man­ner in which you should deal with a person and act accord­ing to the guidance of the voice of God that speaks within you. If you find that such a person is not cursed in heaven, you must sympathise with him, lest in cursing him you oppose the will of God. But if the dictates of your conscience lead you to the conclusion that he is not excusable, you should not bless him, as no prophet of God has ever blessed Satan. But neither must you be rash in cursing anybody, for many suspicions are false and many a curse rebounds on to a man’s own head. It has been said in the Gospels that when you pray, you should go into your closet (Matthew 6:6), but the Holy Qur’an says to you that you should not always pray in secret, but occasionally you must pray before men and in the congregations of your brethren so that when your prayer is accepted it may increase their faith and your ex­ample may lead them to pray to God. The Gospels praise those who are poor, meek and lowly, and those who are persecuted and resist not the evil, but the Holy Qur’an says to you that humility, meekness and non-resistance of evil are, no doubt, com­mendable virtues, but if displayed on the wrong occasion, they become evils. Your good deeds, therefore, should be marked by the propriety of the occasion, for every virtue degenerates into a vice if not shown on the proper occasion. It has been said in the Gospels that you should not swear, i.e. take oaths in the name of God, at all (Matthew 5:34), but the Holy Qur’an prohibits you only from vain taking of oaths, for in some cases it is necessary to administer an oath to bind a decision. It has been said in the Gospels that you should not be angry with your brother without a cause (Matthew 5:22), but the Holy Qur’an says to you that you should not only suppress your own anger, but also advise others to sup­press their anger and that you should not only be merciful your­selves, but should also advise your brethren to show mercy to others. It has been said in the Gospels that you should not drink to excess (Eph 5:18), but the Holy Qur’an forbids you to drink wine at all, for if you do so you shall not find the way of God, nor will He speak to you, nor purge your hearts of impurities. The above are a few examples of the moral precepts from the teachings of the Holy Qur’an and the Gospels and it requires no great intelligence to find out which of the two are more akin to reason and more practical and practicable.